Welcome to Mount Everest Vilhola. A taste from Everest since 2008. King prawns and lime leaves in mushroom fish sauce. Tandoori roasted minced lamb meat pieces spiced with chili, hot spiced. Deep fried vegetables / Chicken. Tandoori marinated chicken filets in coconut cashew nut cream sauce. Tandoori marinated chicken filets and lamb with capsicum, onion and tomato, hot spiced. SERVED ON A HOT SIZZLER. Tandoori marinated succulent king prawns and tandoori marinated chicken filets with capsicum tomato and onion. SERVED ON HOT SIZZLER. Tandoori marinated cottage cheese with onion and capsicum in masala yoghurt sauce, medium spiced. SERVED ON HOT SIZZLER. Tandoorimarinoitua lampaan sisäfiléttä, sipulia, paprikaa ja inkivääriä. Tandoori marinated filet of lamb with capsicum, onion and ginger. Chicken filets in house’s curry sauce. (Chicken Curry). Chicken filets in curry cream sauce. Chicken filets in coconut cream sauce. Chicken filets with capsicum in chili sauce, hot spiced. Chicken fillet, green lime leaves and broccoli in asian curry coconut cream sauce, medium spiced. Tandoori marinated chicken filets in tomato, ginger, butter, cream sauce. (Butter Chicken). Tandoori marinated chicken filets in fenugreek, cashew, cream sauce. Chicken filets in youghurt, coriander garlic sauce, medium spiced. Tandoori marinated chicken filets, ginger, onion, chili and capsicum in cream sauce, hot spiced. SERVED ON A HOT SIZZLER. Lamb meatballs, onion and fresh ginger in coconut curry sauce. Lamb in yoghurt, coriander and garlic curry sauce, medium spiced. THREE ITEMS ON ONE THALI PLATE Lamb in yoghurt coriander garlic sauce and tandoori marinated chicken filets, cottage cheese in spinach cream sauce, raita and chutney. Lentils, fried onion, garlic, ginger, tomato and coriander, medium spiced. Small minced vegetable balls in yoghurt ginger sauce, medium spiced. Fried fish filets, fresh tomatoes, onions and capsicum in masala cream sauce, medium spiced. SERVED IN A KARAHI BOWL. Shrimps with soy sauce, green capsicum, onion, garlic, ginger and green chili, hot spiced. Tandoori marinated king prawns, tomato, onion, chili, ginger and capsicum, hot spiced. SERVED ON A HOT SIZZLER. King prawns in cashew, curry, cream sauce. Cauliflower, broccoli, carrot, vegetables, raisins cashew nuts cheese risotto. Pieces of minced lamb meat skewers, chicken, cashew nuts, cheese and vegetables in risotto. Chicken or lamb in tomato-cream sauce. Vegetable balls with cottage cheese and raisins. Shrimps in tomato cream sauce. These items are very mildly spiced and meant to be eaten alongside with parents. INCLUDES ICE CREAM. Ei sisällä naan-leipää - Not including naan bread. Potato in spinach ginger sauce. Cottage cheese and capsicum in masala cream sauce, medium spiced. Filled with minced lamb meat, chicken or with vegetables. Small bread made of graham wheat. Vanilla, chocolate or Mango ice cream, sauce with own choice. Fried banana in honey sauce. Deep fried cheese balls in cyrup sauce. Deep fried banana and ice cream with rhum and whipped cream. Nepalese style fried apple, honey, ice cream and whipped cream. Lactose free alternative, ask the waiter for flavors. Nepalese sorbet made of pistachio and cashew nuts, flavored with safron. Nepalilais-teetä maustettuna vihreällä kardemummalla ja inkiväärillä. Nepalese tea spiced with green cardamom and ginger. Lentil bean balls in cottage cheese cream sauce. Deep fried cottage cheese and vegetables. Cottage cheese in a tomato, cream, cashew nut sauce. Minced lamb meat pieces in masala sauce, medium spiced. Nepalese sorbet made of pistachio and cashew nuts, flavored with saffron. Nepalese tea spiced with green cardamom and ginger. Fried nuudles, chicken and vegetables. Spier Discover White Spier Wines / Western Cape, Etelä-Afrikka Rypäleet: Chenin Blanc, Chardonnay, Colombard. Maku: kuiva, raikas, hedelmäinen. Spier Discover Medium Sweet Spier Wines / Western Cape, Etelä-Afrikka Rypäleet: Bukettraube,Weisser Riesling.M: puolikuiva, raikas, hedelmäinen, hunajainen. Mancura Etnia Chardonnay 6,50 8,70 12,70 26,90 Viña Morandé / Central Valley, Chile Maku: kuiva, pyöreä, hedelmäinen, tasapainoinen, miellyttävä jälkimaku. Fantini Montepulciano d’’Abruzzo Farnese Vini srl. / DOC Montapulciano d’’Abruzzo, Italia M: täyteläinen, tasapainoinen, intensiivinen, pitkä. Fantini Montepulciano d’Abruzzo Farnese Vini srl. / DOC Montapulciano d’Abruzzo, Italia M: täyteläinen, tasapainoinen, intensiivinen, pitkä. Alamos Malbec - Bodega Alamos / Mendoza , Argentiina M: täyteläinen, ryhdikäs, tervainen, tamminen ja pitkä. Morandé Reserva Pinot Noir / Casablanca Valley, Chile M: keskitäyteläinen, pehmeä, raikas, runsaan hedelmäinen. You will find us under the username of RESTAURANTMOUNTEVEREST and remember to use #everesthelsinki on your pictures. We are humbly proud to serve the unique tastes of the Himalayas at the heart of Helsinki since 2008. We are located right next to the Finnish National Theater, on the northern side of the Central Railway Station Square. Our Famous skilled chef’s Nepalese dishes have been enjoyed among artistes of National theaters, city center business people to tourist of Helsinki are few to mention. 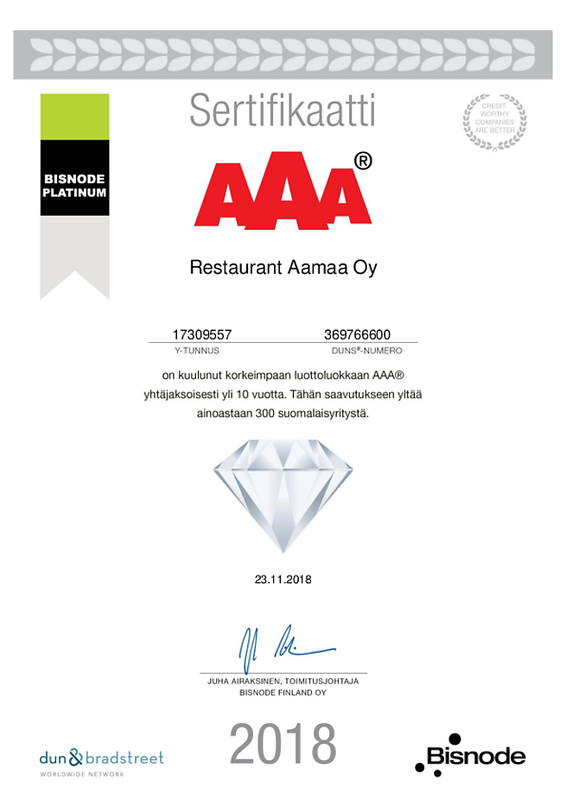 Mount Everest Vilhola is among some of the few certified Triple A class in rating classification companies by Bisnode rating for more than 5 consecutive years. 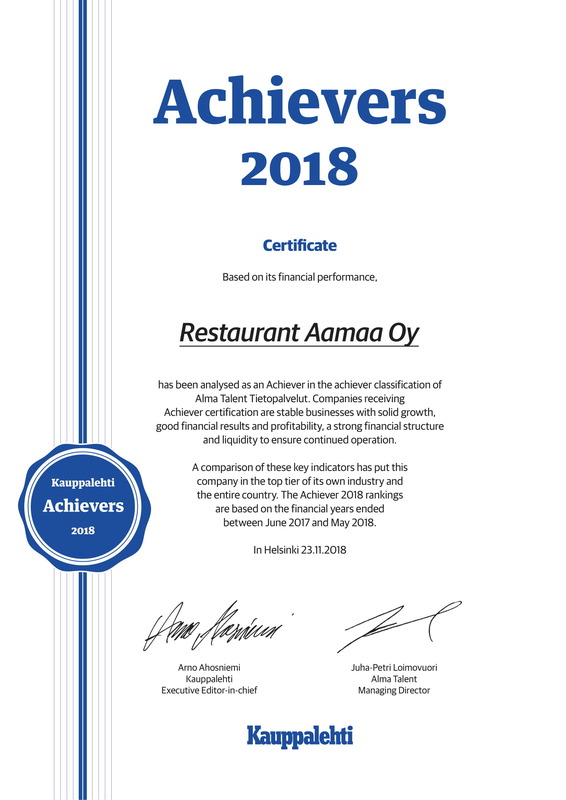 This is an achievement performed only by 0, 3% of all companies in Finland. 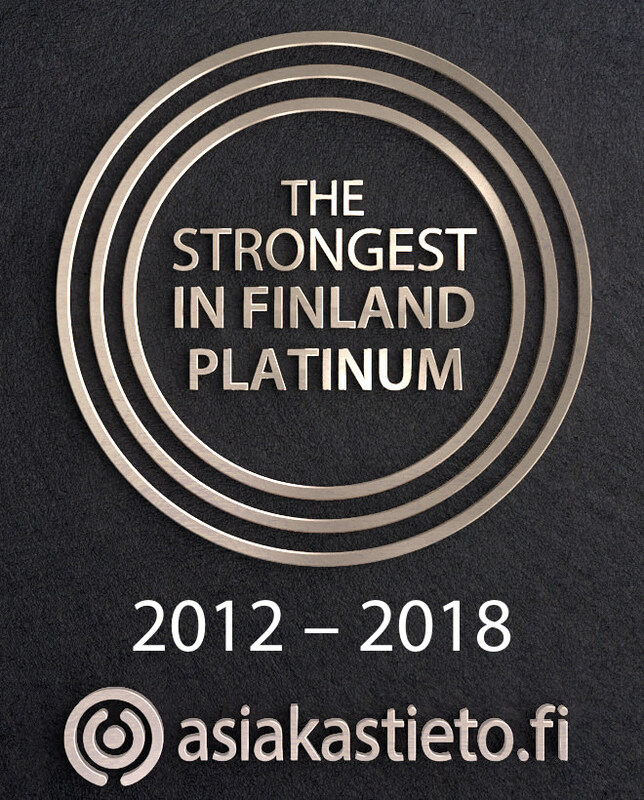 We are also proud holder of certified The Strongest in Finland certificate by a visible proof of our company's creditworthiness, reliability and excellent solvency. With the possibility of hosting 60 indoors guests and 60 more at summer terrace with our kitchen open as late as 23.30 on Fri-Sat. 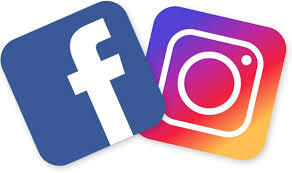 We are also pleased to provide our service for special event whatever they may be. For special event, do not hesitate to call us and don’t forget to grab the opportunity of 10% discounts on take away! We are very proud to announce that our company has received the AAA award over 10 consecutive years. This could have not been achieved without the hard work and determination from each member of our team and our loyal customers. We hope to receive the same support in future aswell.